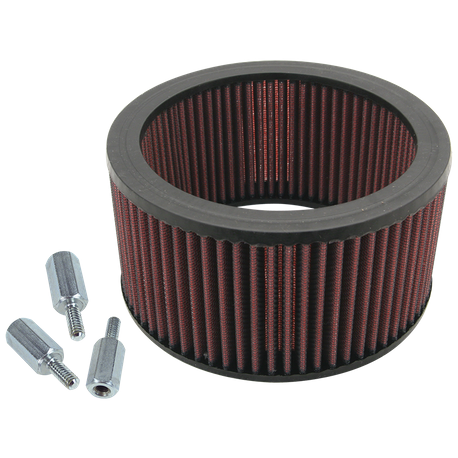 This high flow filter kit for S&S® teardrop air cleaners for S&S® Super E & G carburetors and EFI Throttle bodies is 1" taller than the standard filter. When installed it looks great giving your bike an aggressive competition look, and it flows more air to allow large displacement engines to breath at high rpm. Kit includes a 1" taller filter, hardware, and instructions.